We all know that Microsoft no longer provides official support for Windows XP since 8th April 2014. So, you either upgrade to Windows 10, Windows 7 or Windows 8, or of course you learn how to safely keep using Windows XP after 2014. Therefore, what should it be? In order to help you out, during the present tutorial I will describe some tips that will keep Windows XP secure for a pretty long time. According to a recent market share, there are a lot of users who are still using Windows XP on their laptops or desktops. Actually it seems that more than 30% users aren’t willing to upgrade the Windows software due to various reasons, so for them knowing how to keep using Windows XP after 2014 is essential, or a must have. Because of that we will be checking on which are the best tips and tricks to use on your Windows XP powered device after 8th of April this year. It’s interesting though to know why Microsoft decided to go this way; well, is not that hard to figure it out as apparently the not-so-recently released Windows 10, 8 systems are not so popular among worldwide users. 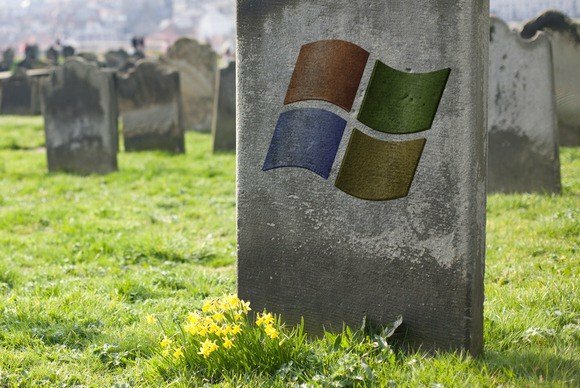 So far Windows XP is the most popular platform, followed by Windows 7 and only after that a small per cent of users are actually using Windows 10, 8. But an upgrade to Windows 10, 8 might not be suitable for some, especially if we talk about the business segment where we have numerous software programs that can run only on Windows XP or even on older versions of the Microsoft OS. In that case you will have to use a virtual machine, things being more complicated on that matter. But that’s not the only reason why you shouldn’t want to upgrade to Windows 10, 8, though eventually you will have to do so – you will not find compatible drivers with Windows XP, while the latest laptops and desktops offers support only for Windows 10, Windows 8, and partially for Windows 7. Therefore, if you want to keep in using your favorite Windows system – XP, don’t hesitate and check the tips explained and detailed during the guidelines from below. What’s the risk in using Windows XP even though Microsoft will no longer provide official support for the same? The risks are quite important as we are talking about the security field. The end of Windows XP means no security updates released after April 8th 2014. So, if you don’t know how to properly protect your computer, it might be infected with various malware, bugs, worms and viruses. Anyway, the best is that you will be able to update security patches up to April 8th, so you will have the Windows XP secured but only against hacker storms developed before the mentioned date. Don’t worry though, because there are a few tricks to use for keeping Windows XP secured even after 2014. Even though Microsoft will no longer release Windows XP security patches you can still protect your computer. You can anytime download and install free or paid antivirus programs. The free software are ok, but if you really want to secure your Windows XP system you should choose a paid version of antivirus. The best programs that you can use are AVG, Avast, Norton, or Kaspersky. In case you are asking about what will happen after April 2014 with Microsoft’s Security Essential, you should know that the software will still receive official support for Windows XP until June 2015. Anyway, even though Security Essential represents the official Microsoft security tool, we recommend you a better antivirus program – the best might be Kaspersky, or Avast. It will be extremely important to keep your programs up to date by installing or the latest official updates. 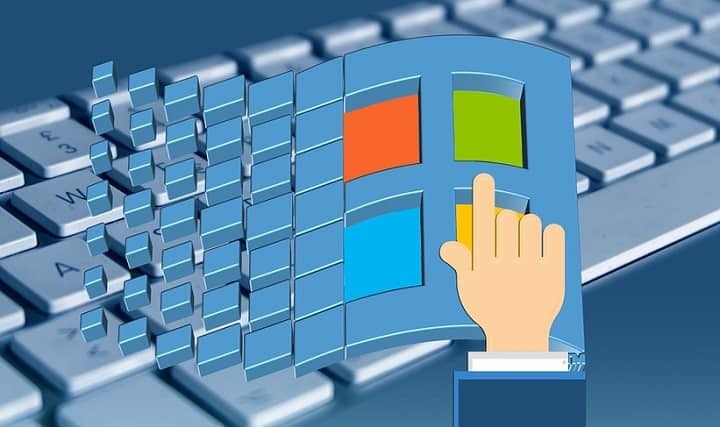 In this way you can protect your Windows XP computer against basic infections and you can also secure your programs and software. You can use Secunia PSI in that matter, this being a tool that can scan your computer for out-of-date software. Also, remember to update your Windows XP with patches that were provided until April 8th 2014 – for example if you need to re-install your Windows XP system, do that but don’t forget to apply the security patches as soon as possible and before going online. I know that Microsoft is “telling” you to use Internet Explorer as your default web browser software. But after 2014, on your Windows XP you should use either Google Chrome or Mozilla Firefox instead. Why? 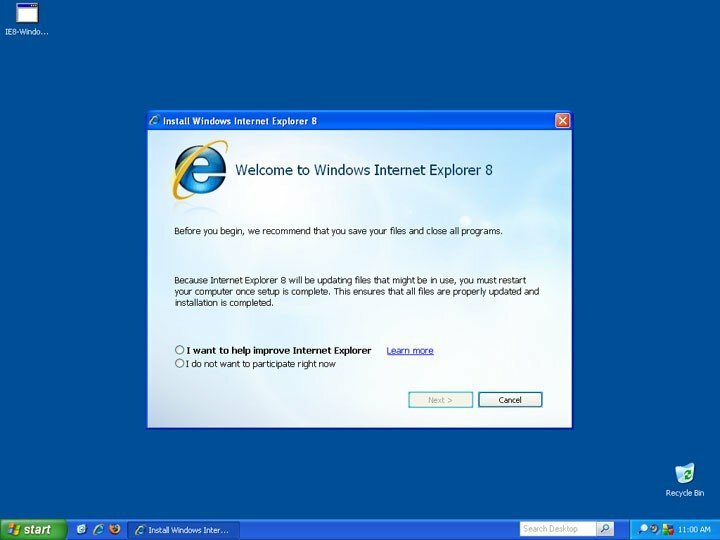 Well mainly because Windows XP will no longer receive Internet Explorer official support which means that your web browser might not offer the security support you need. So, the best way to avoid unpleasant situations will be in using Google Chrome or Mozilla Firefox, which will bring patches up to date. Another solution you can apply is to go offline as much as possible. For example when using different business programs you don’t need an internet connection enabled. Most of the tools you use might go online for pointing updates or who know what else. Not all these updates are official and you can catch some malware if you are not paying attention. So, because of that you can go offline when this is possible. If you still want to go online while using Windows XP, check out this guide on the best browsers to use for old Windows computers. Java is the most used software by the Windows users especially in web browsing; because of that hackers will basically attack your computer trough Java, especially after official support from Microsoft. So, stay secured by disabling Java when using your web browser. How to do that? Just go to control panel and select “java”. Then tap on “security” and deselect the option dubbed as “Enable Java content in the browser”. Click “ok” and then apply the new settings. Malware can do as much damage as the account it infects. Keep that in mind when using Windows XP after 2014. Also due to same reasons the best will be to stay away from administrator accounts. In that matter you should start using day-to-day accounts. A day-to-day account comes with important restrictions that can be used for protecting your desktop. A limited account can’t install or remove all applications, or make system-wide changes, such as changing a hard disk’s partitions. Up next select Limited and click Create Account. Good, you have just created a Limited user account. You can set a password for it by following the steps at the start of this paragraph. In order to use your limited account, restart your computer and just choose the above created account and enjoy it in a secured way. If the tips from above are way too complicated for you and you rather upgrade your computer to Windows 10, 8, then you should use a virtual machine where to install Windows XP. As I have already stated above, some apps and programs can run only on Windows XP system, which means that you must use a virtual machine on any other Windows OS, or else the mentioned tools will not work at all. 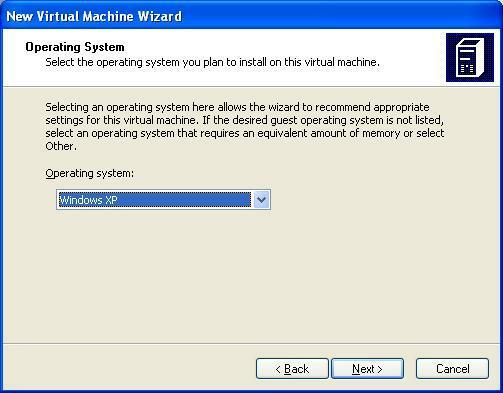 Installing a virtual machine is not hard as you can use an official software developed by Microsoft. Anyway, it will be quite annoying to switch between your regular Windows platform to the virtual machine each time you need to use your programs, but at least you will be secured. Starting from April 2014 you won’t get official support for your Windows XP. But as you could see there are numerous ways in which you can still protect your computer against malware or viruses infections. Anyway, the best will be of course to be more careful when installing a software, when going online, when using your web browser and when downloading something on your laptop or desktop. By trying to install only official programs, tested and recommended by other users and by using a proper antivirus and antimalware programs you will be secured even by using Windows XP after 2014. RAM is very important if you want to keep Windows XP running fast event to this day. One of the most frequent issues affecting Windows XP computers is slow responsiveness due to limited hardware configurations. Old computers running Windows XP usually have about 1 GB of RAM or even less. The good news is that you can increase RAM on Windows XP to up to 3GB. So, go ahead and buy a compatible RAM slot to make your Windows XP snappier. Now, as I have pointed out during the above explained guidelines, you can still use Windows XP even after April 8th 2014 and for a long time. By using the tips described on this tutorial you can safely protect your Windows XP computer without upgrading to Windows 10, 8, or without choosing Linux instead of Windows. Of course, eventually the upgrade will have to be made as you will not find compatible drivers and software with older versions of the Windows system, but until then, don’t worry and keep using your favorite Windows OS on your laptop or desktop. Also, don’t forget about us and use the comments field from below or our contact form for sharing your Windows XP experience and of course for sharing other useful tips with us and with our readers – moreover stay close as we will update this guide with fresh info as soon as we have something that is worth of your attention.